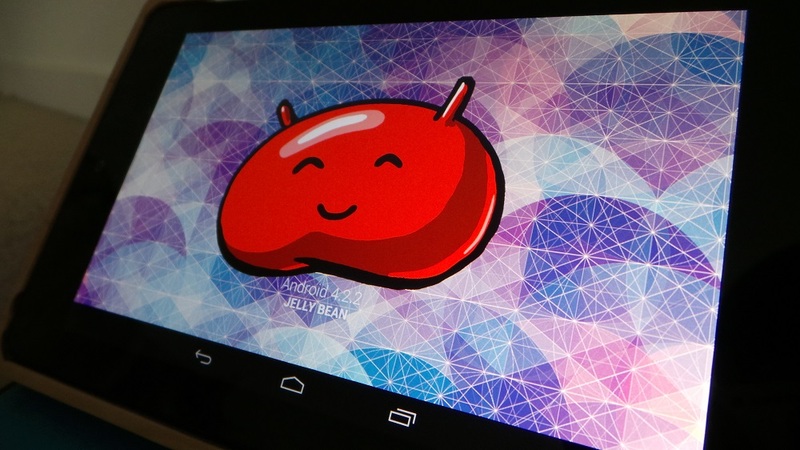 Google’s JBQ, the man behind the Android Open Source Project, recently took to Google+ to discuss why folks shouldn’t ever ask for ETAs on OTA updates. He explained it quite simply in that Google wants to make sure people don’t experience some catastrophe after the update, as something can always slip through the cracks during the internal test period. In short, it takes roughly two days after the first phase of rollouts that they can gather enough data to say if they are ready for another rollout to another limited group of users. It takes time, but JBQ is only looking out for your best interest. Phase by phase, the OTA gets exponentially deployed to more and more people, up to a point where enough people are running it to be able to extrapolate even rare issues to the entire population, at which point the flow gets much faster. The point of going phase by phase is explicitly to be able to stop the process in case something goes wrong, and that’s why there can’t even be an ETA. Makes sense, right? 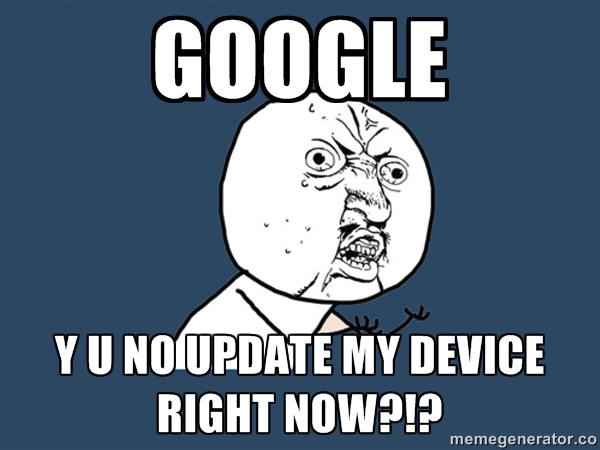 I think this meme could properly describe people awaiting updates to their Nexus devices.